Mary and Rebecca will discuss the ups and downs of striving for publication. How Rebecca went from aspiring writing to published author! What's It Like to Debut In Today's Market? Rebecca will share insights about the run-up to the publication of her debut middle grade novel, The Missing Piece of Charlie O'Reilly. The work doesn't stop once you're published, and here's why. Rebecca writes twisty, engaging, emotionally honest, and beautifully rendered middle grade with a boy focus. Learn some tips on writing for this very exciting market. What's Up Next in That Author Life? Writers at all stages of their careers should be focusing on what's next for them, whether that's submission or their tenth novel. 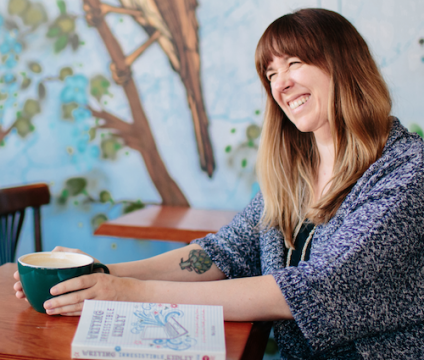 Learn how Rebecca is planning on making her mark in the kidlit space with Charlie and beyond.